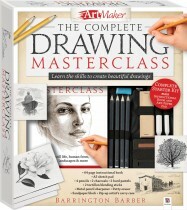 Develop your drawing abilities and hone your skills with Drawing Masterclass. Artist and author Barrington Barber will guide you through a range of techniques and approaches to help you achieve a greater understanding of the art of drawing. 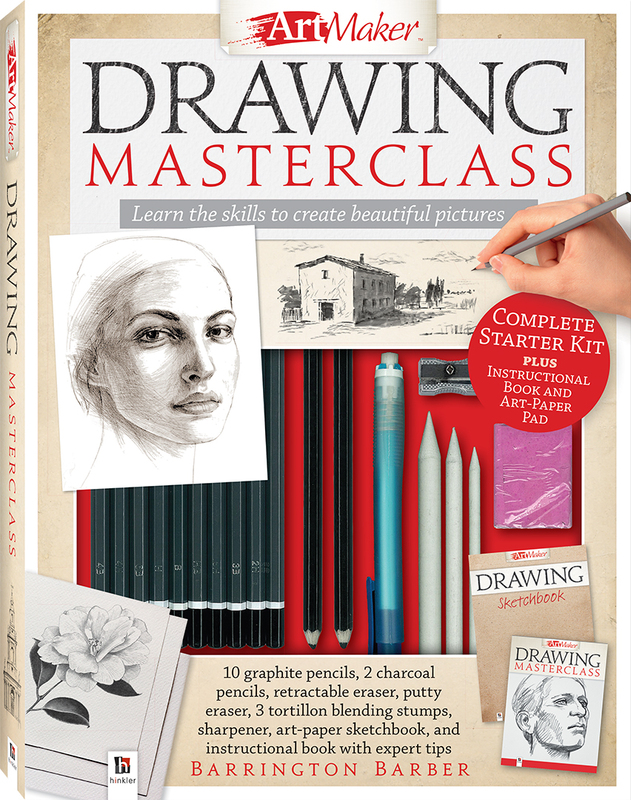 The 64-page instructional Drawing Masterclass book covers many aspects of drawing, from implements and materials through to the technical aspects of using shape, proportion, perspective and form to create your artwork. With comprehensive sections on sketching the human figure and on drawing the natural world, there’s something for every artist! 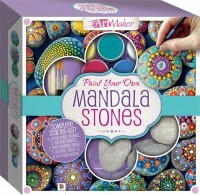 With 10 graphite pencils, 2 charcoal pencils, 3 tortillon blending stumps, a retractable eraser, a putty eraser, a pencil sharpener and an art-paper sketchbook, this kit has everything you need to create the perfect works of art. 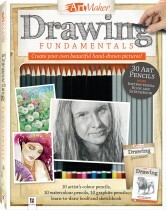 Learn the skills to improve your drawing ability, push the boundaries of expression and create beautiful pictures!